I just sent out a handful of cards to use up my Ohio postcards, so I am hopeful of having a postcard or two waiting for me in my Utah mailbox when I arrive. 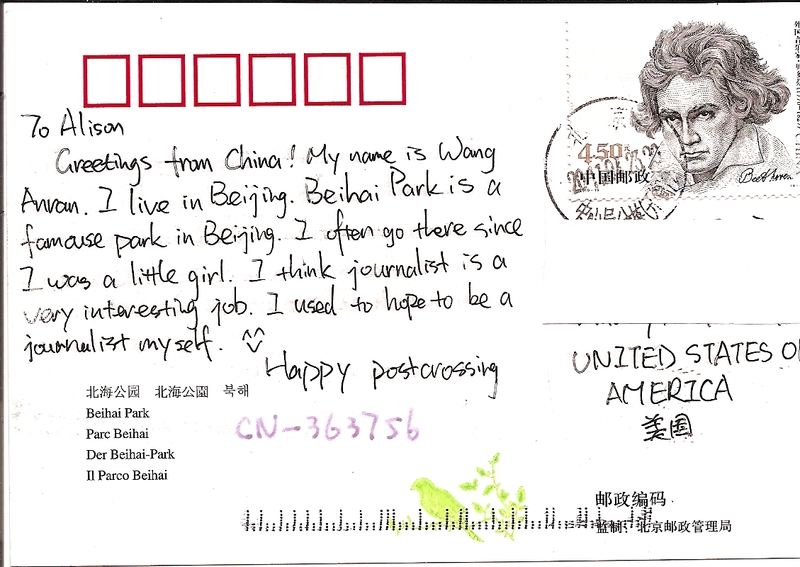 First up in this batch is a card from Beijing, China’s Beihai Park. The sender even wanted to be a journalist, but has since decided upon another trade. And check out this awesome Beethoven stamp! 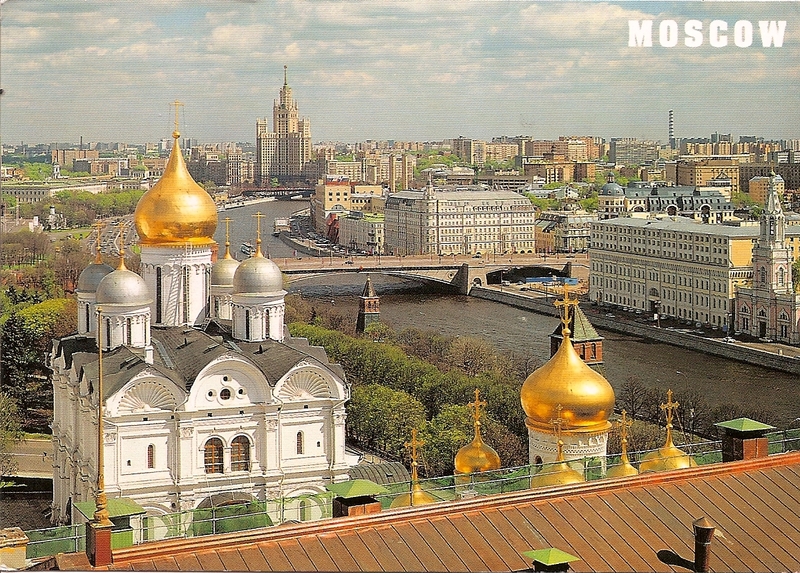 Second is a Moscow postcard of a view of the Cathedral of the Archangel Michael. 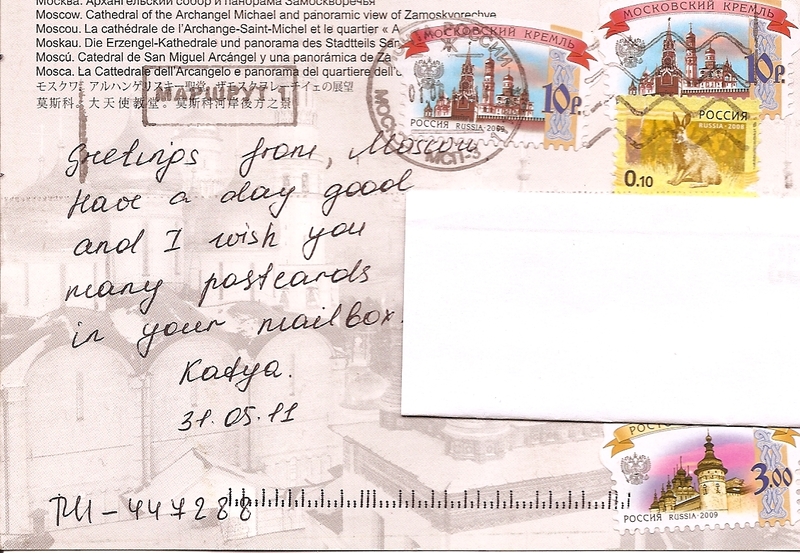 I like that Katya wishes me many postcards in my mailbox. I may start writing that on my postcrossing postcards because I love the surprise postcards that arrive in my mailbox! 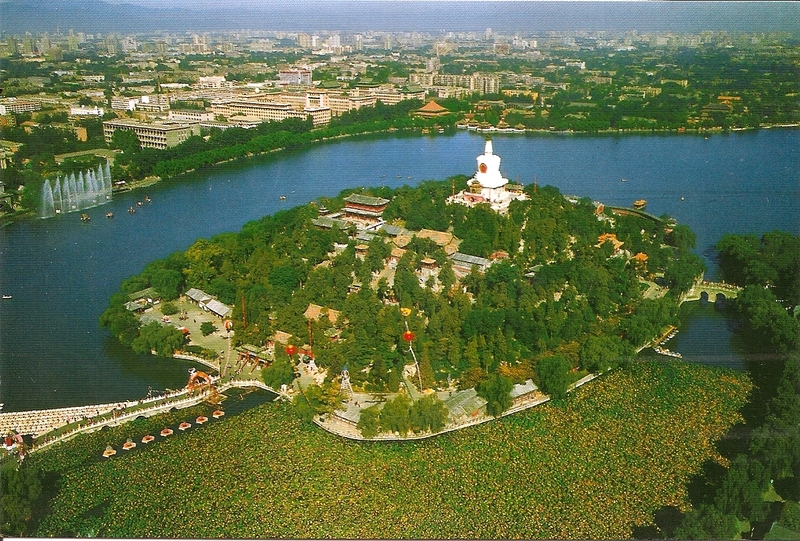 This entry was posted in Asia, Europe, Postcards and tagged China, Churches, City parks, postcards, postcrossing, Russia, Travel. Bookmark the permalink. You should! Don’t forget to change your address, though!